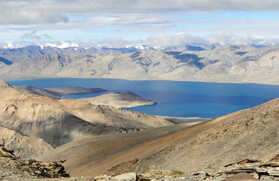 Far from the reach of leisure travellers, there is a haven perched beyond Ladakh that draws in several nomads from different corners of the world. 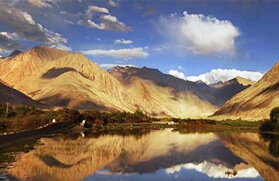 The Nubra valley, which is one of the remotest places in the Indian Himalayan belt, is a high altitude cold desert with scant vegetation except along the river beds. 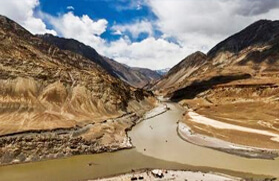 The valley is formed by the confluence of River Shyok and River Nubra and is accessible from Khardung La, which is one of the highest motorable roads in the world that lies at an elevation of 5,360 meters. Further, the undulated and varying landscape, with green oasis villages surrounded by exciting stark scree slopes, boulder tracks and harsh arid mountains, offer a good deal of trekking opportunities. 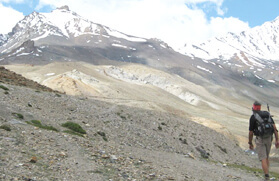 Trekking in Nubra Valley is every traveller's dream and the journey along the edges of the Indus Valley down the Zanskar Valley and following incredibly narrow tracks and wide-open vast expanses is a perfect example of adventure. 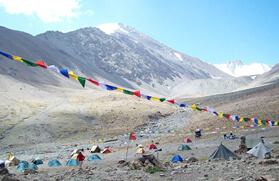 Moreover, along with the escapade, the diorama of Indo - Tibetan settlements, dotted with prayer flags, chortens and monasteries, is a major attraction while trekking in Nubra Valley. 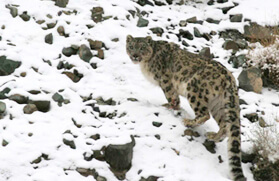 Snaking to the upper end of the Nubra Valley trek via Kongmaru La at 5,150 meters you will come across the spectacular view of the jagged snow capped peaks and then descend to the famous Hemis Monastery to conclude the trek. The Nubra Valley trek is worth every penny you spend. 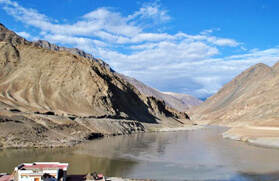 The Nubra valley trek commences from Sabu village, which is at an elevation of 3,480 meters and is at a drivable distance from Leh. 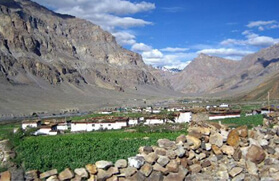 The trek from Sabu ascends to Digar La at 5,500 meters and thereafter, ascends to Digar village. 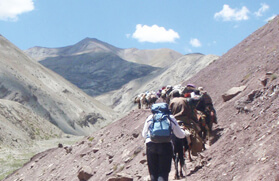 From Digar village the trek goes through River Shyok and heads to Agyam village. 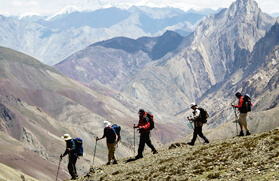 Thereafter, the journey leads to Khalsar village and thence the trail downhill follows to Diskit via Sumur. 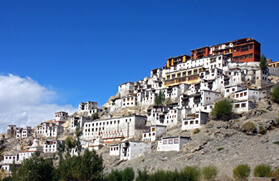 Hemis, situated about 45 kms south of Leh, is one of the most famous and largest monastery in Ladakh. It belongs to the Drukpa order and was founded in the early 17'Th century. The setting is perfect with the monastery cradled in a lovely valley, surrounded by streams and fronted by long Mani walls. Overnight stay at the guest house. In the morning drive to Sabu village. After an early breakfast trek to cross Digar La (6000 mts). Then descend down to Digar Village. Overnight stay in village. In the morning trek to Agyam. 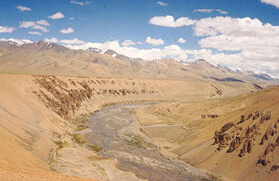 The trek go through along the river Shyok. On arrival set out camp for overnight stay at Agyam village. Dinner and overnight stay at village. 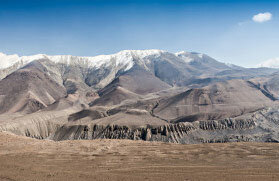 In the morning we will trek up to khalsar village. Dinner and overnight stay in village. After breakfast trek to Sumur. Visit to Samtenling Gompa and continue trek to Diskit. Visit to 350 year old Diskit Gompa. Dinner and overnight stay at Diskit. In the morning drive back to Leh. On arrival check in to guest house. Evening free to explore the local market. Overnight stay.